From his earliest days in Uncle Tupelo, when they roughed up No Depression by American folk dynasty The Carter Family, alt.country figurehead Jay Farrar has been more an enthusiastic musical historian than a wannabe star. 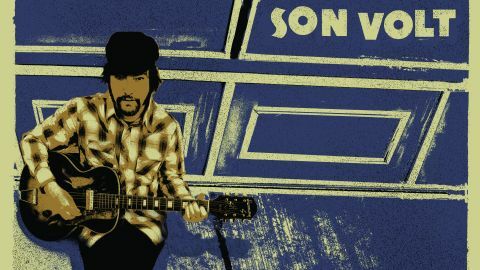 With Son Volt’s eighth album, he cites Mississippi Fred McDowell, Skip James and Nick Drake as pressure points of influence. They can certainly all be heard, in the delicate fingerpicking, mournful slide and Appalachian melodies, but they’re touchstones to build on, rather than something to slavishly recreate. So the gorgeous Back Against The Wall has an anthemic, Tom Petty everyman feel to it, Lost Souls is enveloped in stomping, garagey, antique amp fuzz, and ominous closer Threads And Steel shares an inky Wild West storytelling vibe with Nick Cave. And Farrar’s voice, as ever, has a timeless, ageless strength. Don’t judge this album by the hokey title – there’s gold to be uncovered here.